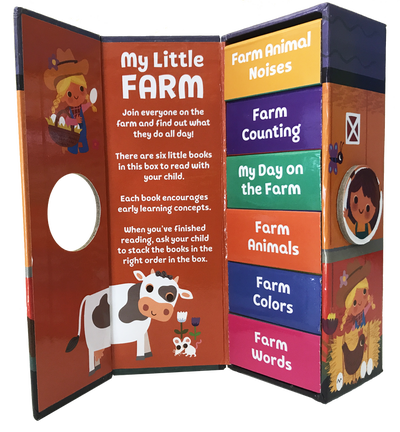 Tiny Towers boxed board book sets include six little learning board books to make first libraries and first learning fun! And after you’ve read – and learned – together, use the case for a sorting and matching game. My Little Farm includes Farm Animals, Farm Words, Farm Colors, My Day on the Farm, Farm Counting and Farm Animal Noises.